By Mariko Thompson Beck for Fordham News (20 in Their 20s feature) on June 29, 2017. 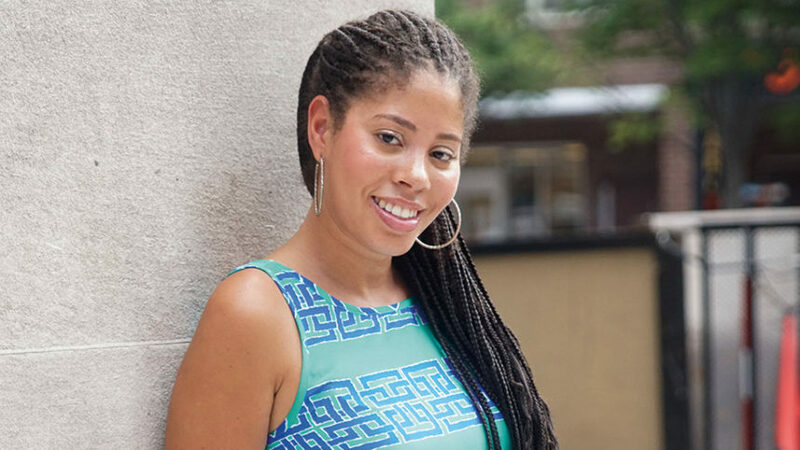 A native of Ohio, Kathleen Adams was excited to attend college in the Bronx, the birthplace of hip-hop, having grown up on the music of female hip-hop artists like Queen Latifah and Lauryn Hill. But she soon realized that female hip-hop artists were often overlooked. So, in her sophomore year, she decided to do something about it. Teaming up with Lah Tere, then a member of the hip-hop group Rebel Diaz, she organized Momma’s Hip Hop Kitchen, an event showcasing female hip-hop artists—especially women of color—and providing a forum for women’s health issues. Attendance grew to 1,000 the next year, and the event celebrated its 10th anniversary last March. Over the years, the event has focused on topics including violence against women, educational inequality, and overcoming obstacles through faith. Adams and Tere are now looking into spinning off Momma’s Hip Hop Kitchen to other cities. Adams also has a full-time job as a strategic planning manager at the digital marketing firm SapientRazorfish, and is a founding partner at Angel of Harlem, a restaurant in Manhattan. She discovered her entrepreneurial and activist streaks early, starting a dog-walking service at age 10 and, in her teens, successfully lobbying her bosses at a grocery store to let female employees bag groceries so that they, too, could earn tips.